LED bumper reflector lights are a simple to install and wire modification that increases visibility at night and also improves the look of the vehicle. 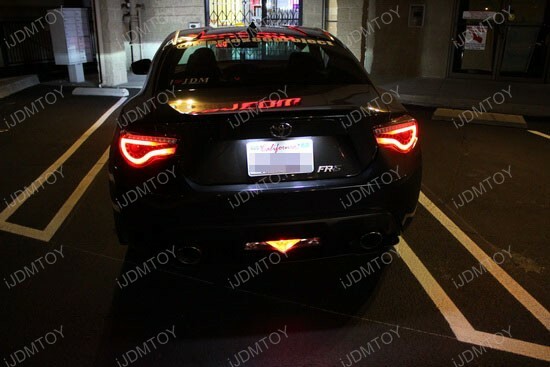 Our customer opted to install these LED bumper reflector lights on his car and wire them up to be additional running lights as well as functional brake lights; these Lexus LED bumper reflectors are wired directly to the tail lamp assembly. 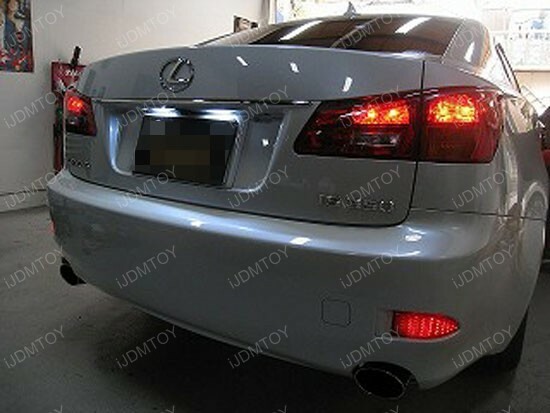 The Lexus LED bumper reflectors we offer are sold as a set of two and is only available in the red lens as of right now. 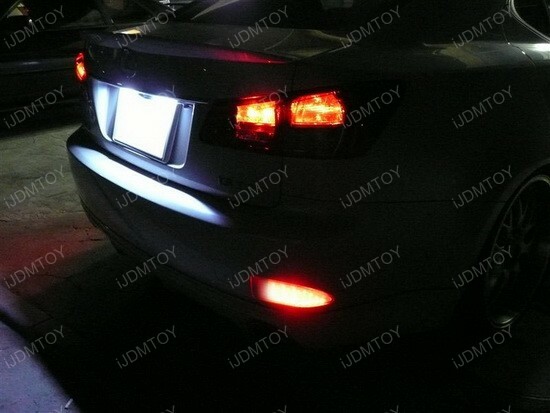 These bumper reflectors will fit the 2006-2013 Lexus IS250 and 350 models, but excludes the IS-F and IS-C. 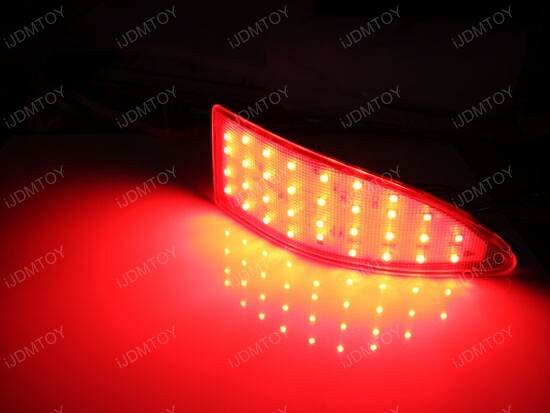 These replace the factory bumper reflector with our LED replacement assembly and are wired directly to the factory tail lamp wires. The Lexus IS bumper reflector lights we offer have two functions available: Running light mode and Stop light mode which can be wired depending on how you would like the lights to function. Most people prefer to run both functions, but for those who just want those to act as brake lights can just utilize the stop light mode wire and leave the running light wire disconnected. This type of install only takes a few hours of your time to do so it is the perfect weekend project for any DIY-er. A very common addition that many of the newer vehicles are attempting is the installation of a stylish third brake light. 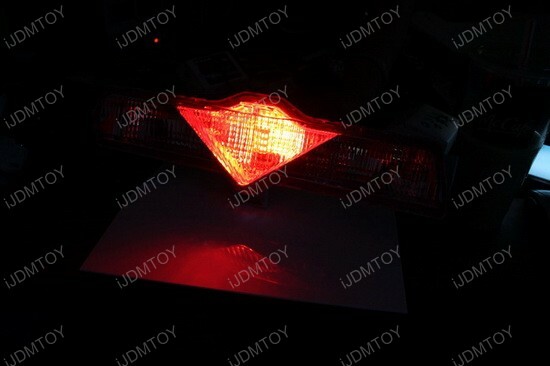 In this case, it’s a conversion of the red lens that came on the car from factory into a fully functioning running and brake light. Fortunately, for the Scion FR-S and Subaru BR-Z, the factory bumper comes with a red lens near the rear diffuser that covers an empty housing. 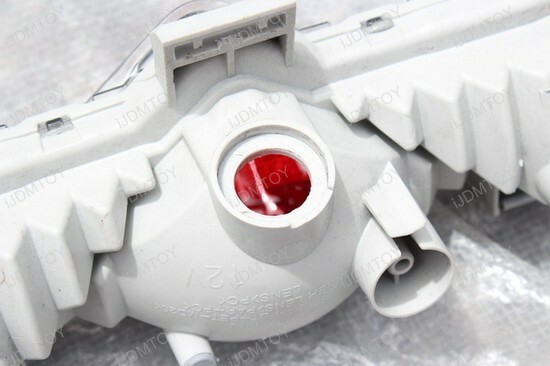 The iJDMTOY LED FRS 3rd Brake Light Conversion Kit will turn that housing into a functioning safety upgrade. Since these lights are utilizing the factory location, extensive modifications are not required. 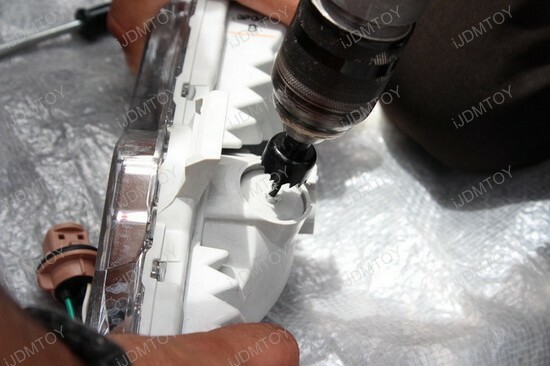 The kit includes a drill bit that is used to create a hole for the socket and LED bulb to fit in. 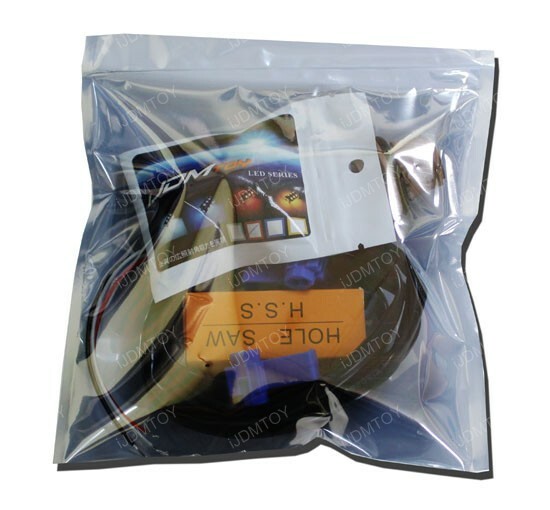 Each kit includes a red 18-SMD 3-Emitter 5050 LED bulb that will produce a noticeable amount of light and comes with all the parts needed for installation; you just need to supply the electrical tape and tools. 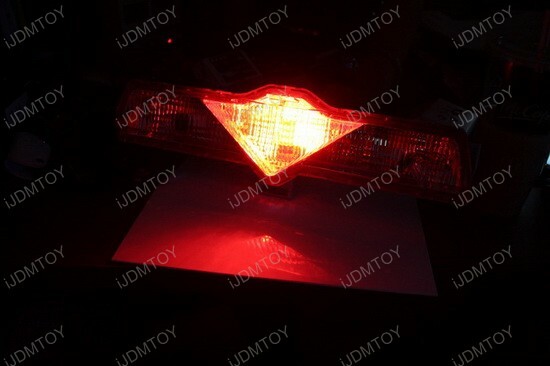 The combination of the red lens and red LED bulb produces a glow that will match many aftermarket LED tail lights and the factory center brake light behind the rear window. 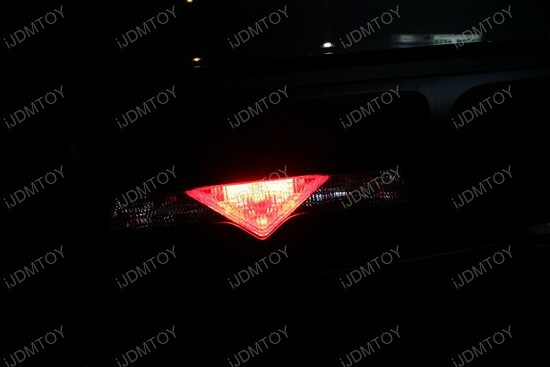 The lights can be wired to act as just a Scion FR-S 3rd Brake Light, turning on only when the brakes are applied. Alternatively, the lights can also be wired to act as the running and brake lights as well; this will act like the outside tail lights at night. 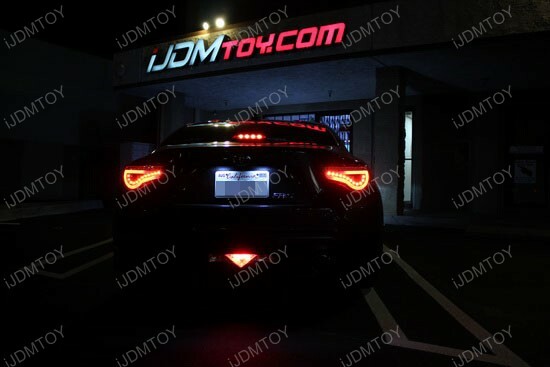 While these lights are marketed specifically towards the Scion FR-S and Subaru BR-Z, it can be also used on other vehicles with a similar light setup such as the 2009 and up Nissan 370z and more. With the debut of the Toyota FT86 (or Scion FR-S and Subaru BR-Z as it is known in the United States), it has attracted a large interest of car enthusiasts. For those familiar with this car, a noticeable feature is the red reflector on the bottom of the bumper next to the reverse lights which has no light inside. 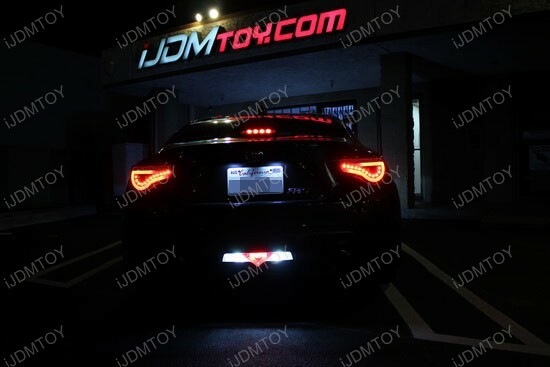 While the FT86 already has a third brake light over the trunk inside the cabin, it seems to make more sense (visually) to have the third brake light at where the red reflector is instead. We decided to create a simple to install, “do-it-yourself” type product that takes 1-2 hours to complete (depending on your experience). 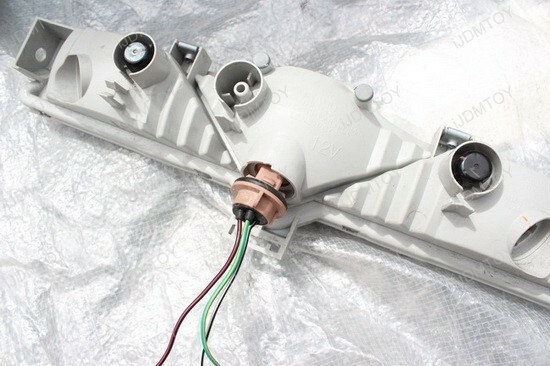 This project takes the existing reflector/reverse light housing and puts a light inside it; it does require some modification to the housing and socket. Within the next few weeks, we will have an LED install kit available for you guys which include the bulbs, wiring socket, drill bit, and all the major components for installation. This installation just requires basic tools and a 12v power drill for installation. Not only with these lights set you apart from the rest of the crowd, but will also enhance your vehicle’s visibility at night to increase safety. 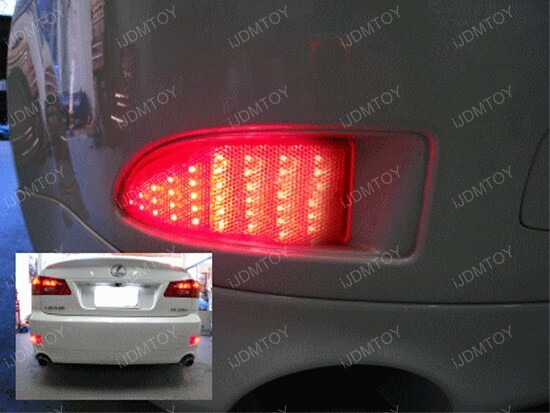 These lights can operate as a third brake light by itself or it can operate as both the running light and brake light.